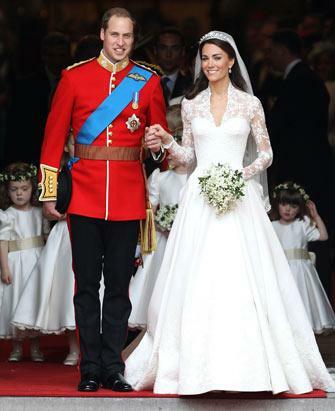 While the big news is Kate’s selection of a stunning McQueen wedding gown, her groom Prince William isn’t so bad either. 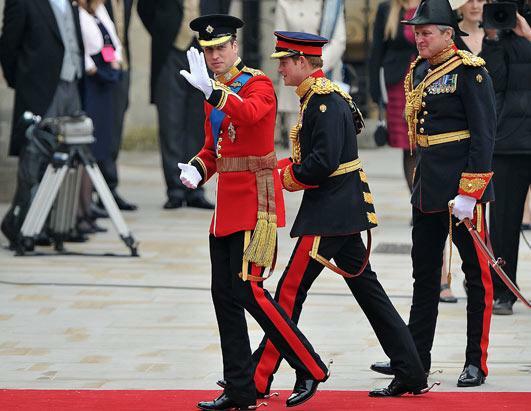 As far as uniforms are concerned, it doesn’t get better than this, with both Prince William and his brother Prince Harry wearing military uniforms. 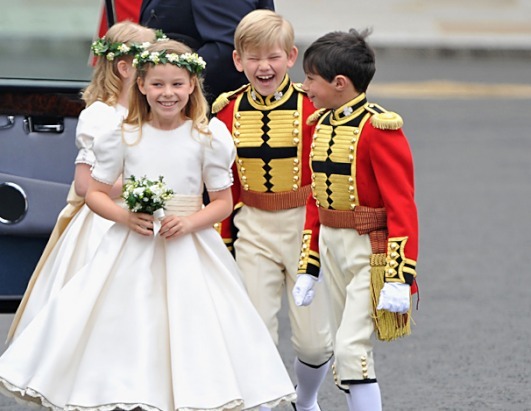 You could read all about their uniforms here or just marvel at those little page boys and dream of marrying into royalty one day. 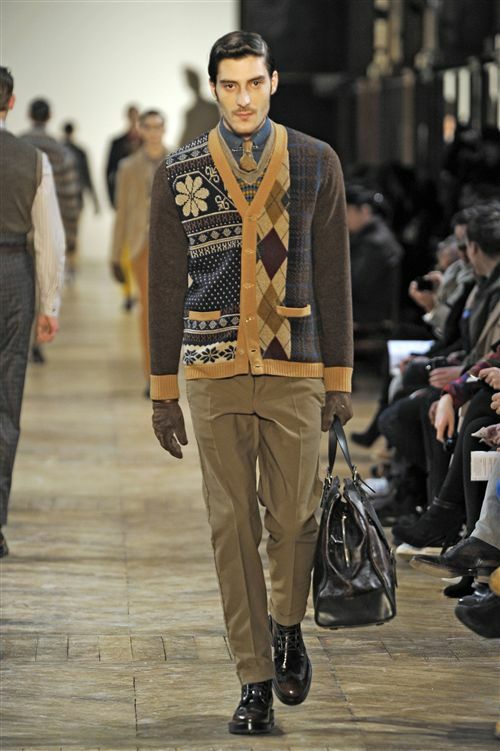 Now that all of my Seasonal F11/12 Runway Themes have posted on Fashion Snoops, I’d love to share a few of my menswear favorites. But be sure to look on the site, where we have a total of 21 THEMES that span the worlds of Men and Young Men. Tailored Sportswear is easily my FAVORITE leading theme for men this season. 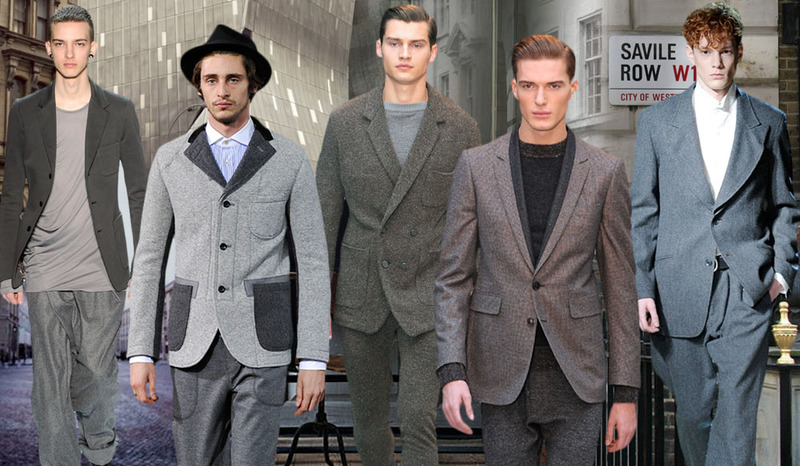 Yes there was tailoring in the traditional black tie sense, but here we see Savile Row meet casual menswear with looser silhouettes like sweatpants or baggy pants paired with drapey knits and blazers. WHAT IS OLD IS NEW.. AGAIN. 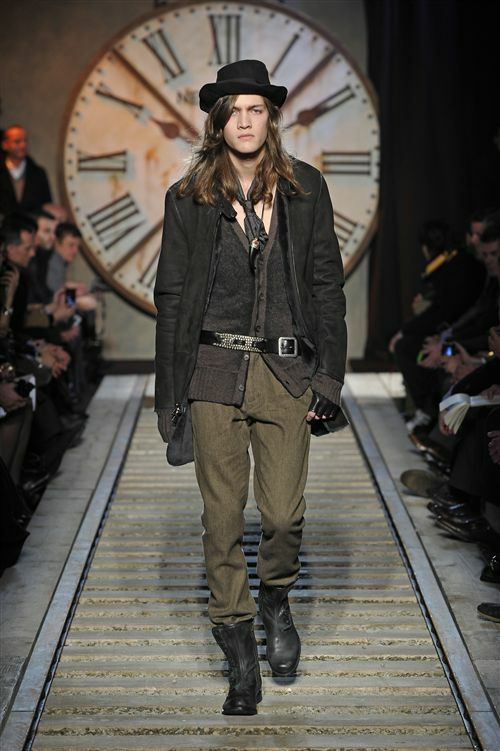 Old World is the new notion of industrialism that has been a leading menswear reference for the past several seasons. 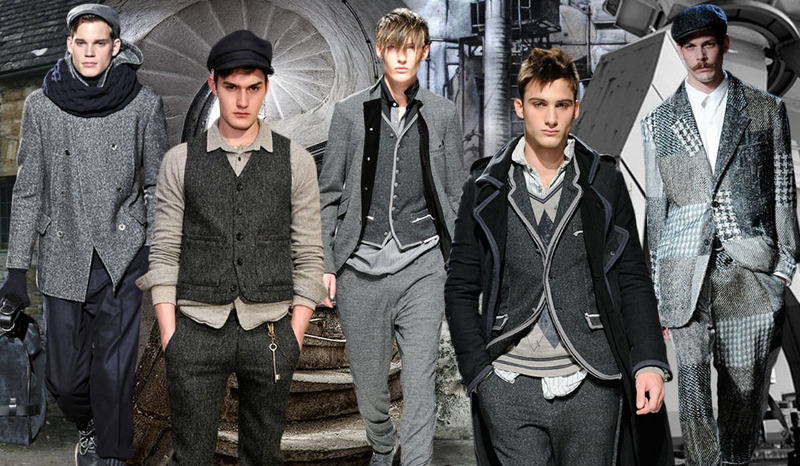 A 20s Baker Boy look is apparent set to heavy gray layers while the big take away comes in the form of this season’s wide leg pant, which is commonly met with tidy vests and blazers. But that’s not all. 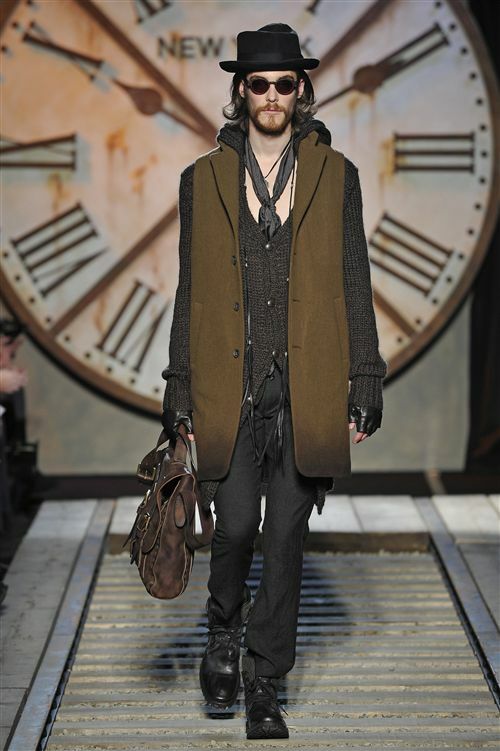 Cult favorite John Varvatos also dips into a Time Traveled theme with a rustic hobo collection filled with edgy layers. And now for some familiar (and very commercial) territory. This season’s Urban Outdoorsman undoubtedly looks familiar as it was just last Fall-Winter that we experienced similar outdoor references. 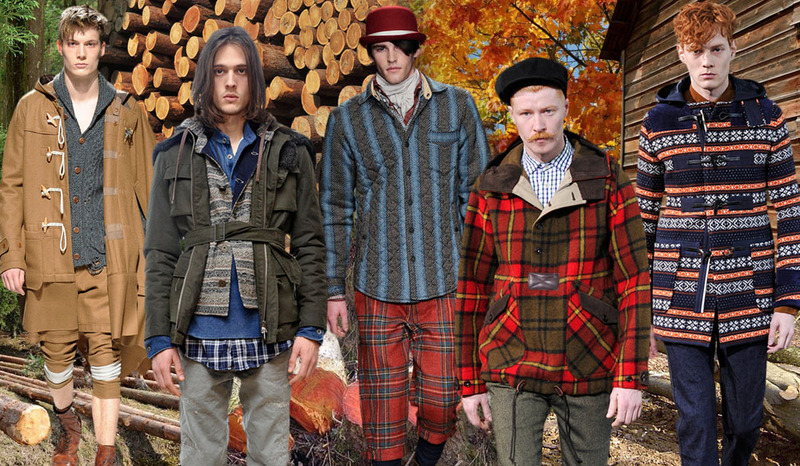 This time around, traditional woodsman elements involve the expected plaids and autumnal color palette, while cropped pants are a more forward look set to blazers. Of course utility details like toggles and flap pockets remain. And what about the upper crust of society? Well as it turns out, the luxury houses dip into the theme with a Horse & Hound aesthetic. Here we see camel emerge as a new base color while red serves as an accent. 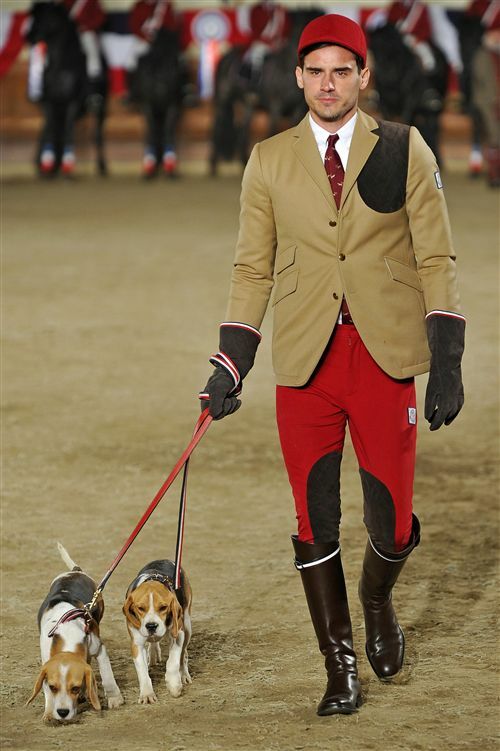 Equestrian elements include traditional patterns as well as riding pants. 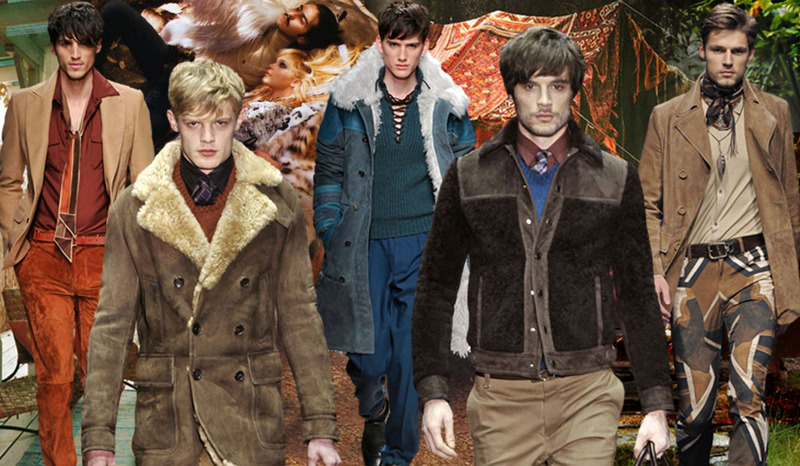 While in womenswear we’ve gone from the 70s to the 60s for Fall 11, in menswear the 70s prove to be a more viable decade (although mod looks are featured as well). Here we take a look at the George Harrison-infused Boho moment which features striking color accents of blue spruce and cognac. 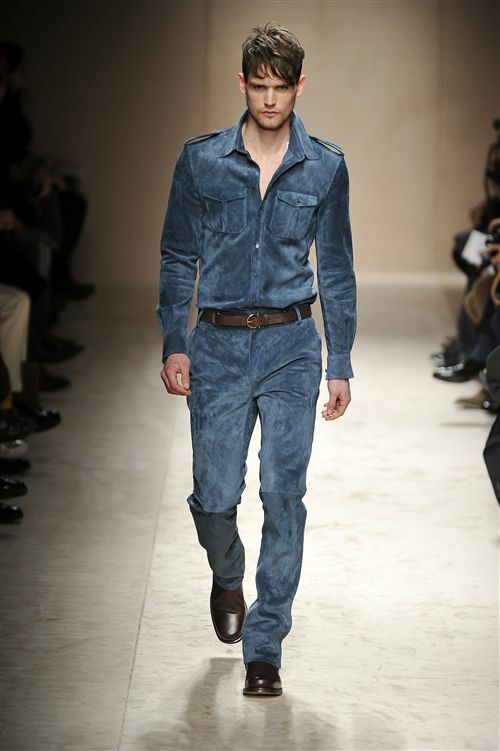 It’s always nice to see new texture in menswear and the time is right for suede and shearling. Along the same lines, I mentioned 70s swagger during runway season, which translates into a polished and very luxury American Gigolo theme. 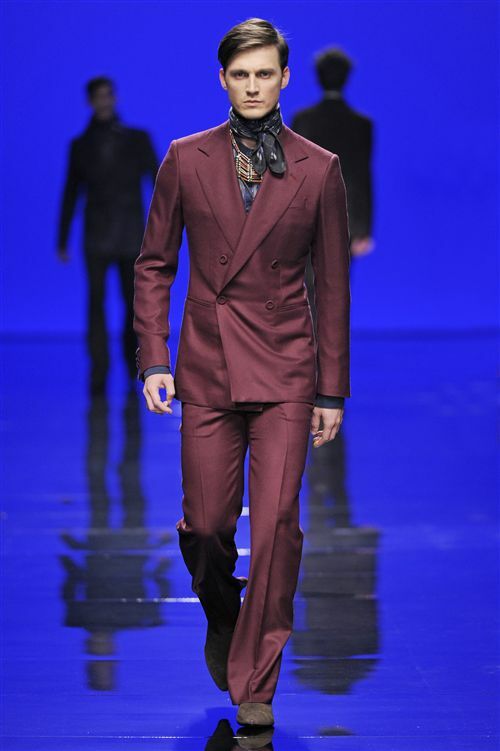 Here suitings are key – especially flared pants and double breasted blazers – while suede again proves relevance on both top and bottom.